13 video, 26 audio. (WSP-26AV2) Most common. On this panel we do the wiring on the audio portion of this unit for you. 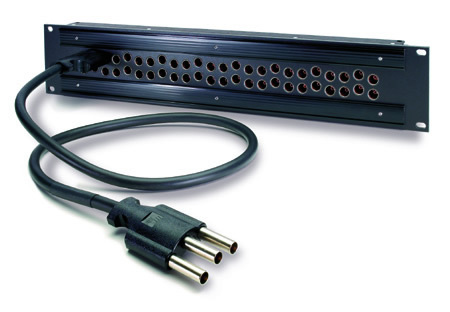 Typically supplied with 13 video jacks (75 ohm, dual self-normalling, terminated jacks) and 26 audio jacks with everything (EO) brought out to 3-Pin connectors. Consult factory for details and options. Nothing fancy here, just a video panel with the jack configuration layout to accommodate the RGB pattern. Only available in 2x24x2RU (3-1/2) panel. RGB cords are available in 2 ft. and 3 ft. lengths. Sometimes you just need a simple single-row video panel. Here it is with your choice of jacks. Configuration Order No Order No.